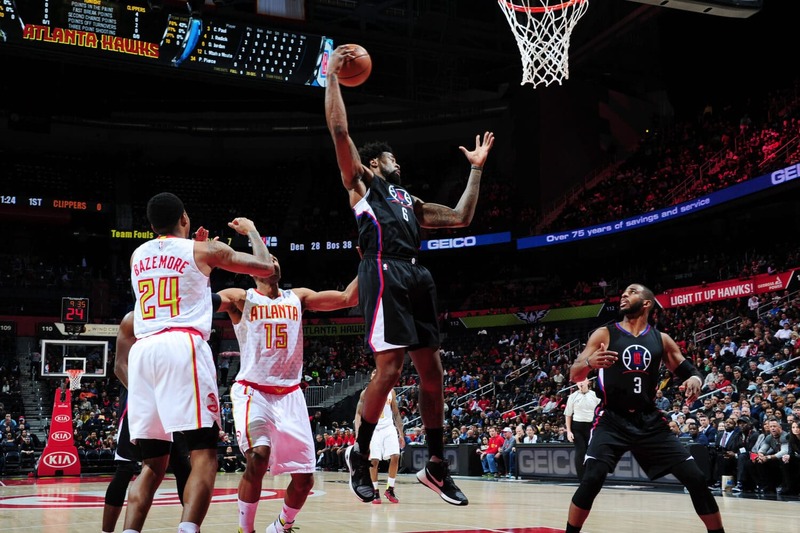 Monday night’s featured matchup out west on NBA TV pits the Atlanta Hawks against the Los Angeles Clippers in a slated 10:30 p.m. tip from the Staples Center. Atlanta started this extended seven-game road trip last Wednesday with a 121-101 victory against Chicago as a slight 1.5-point underdog on BetAnySports’ closing line. They came up just short of covering as an 8.5-point road underdog on Saturday in a 120-111 loss to Portland. The total went OVER 224 points in that game and it has gone OVER in five of the Hawks’ last seven games. They are 7-20 straight-up on the road this season with a 14-13 record against the spread. Rookie guard Trae Young scored 30 points in the loss to Portland after being held to just five points in the previous win in Chicago. He is averaging 16.2 points per game as the team’s leading scorer. He also leads in assists with 7.3 a game. The Hawks are ranked 19th in the NBA in scoring with an average of 109.9 PPG. They are allowing an average of 117.5 points a game, which is the most in the league. The Clippers extended their current winning streak to three games both SU and ATS with Sunday’s 122-108 victory against Sacramento as 3.5-point favorites at home. The total ended as a PUSH on BetAnySports’ 230-point closing line after staying UNDER in their previous five games. Los Angeles improved to 15-10 SU at home this season and Sunday’s win was their first both SU and ATS in their last five home games. Danilo Gallinari remains out of the Clippers’ lineup due to a bad back, but his status has improved to day-to-day. Montrezl Harrell led the way on Sunday with 25 points while connecting on 11 of his 13 shots from the field. He is one of four players averaging at least 16 points a game. Tobias Harris is at the top of that list with 21.1 PPG. He added 18 points to the winning cause against the Kings. Atlanta is a bad team playing even worse of the road. Lay the eight points and take the Clippers to cover.